Congratulation!!! 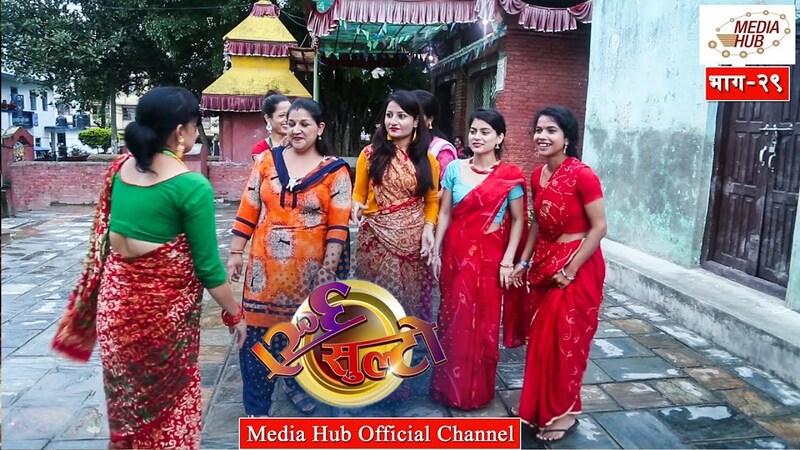 Now Ulto Sulto Comedy Serial In Our Official YouTube Channel. Ulto Sulto is one of the latest comedy serial program of Media Hub Pvt.Ltd. It is broadcasted every Wednesday on Image Channel Television at 8:00 to 8:30 PM and in Media Hub Official Channel at 9:00 PM, This show is produced by Media Hub Pvt. Ltd. Lazimpat, Kathmandu. Rabi Dangol is the main character. The story is based on semi-urban lifestyle and target lower-middle-class people. The show represents many political as well as social issues on its episodes with educational comedy flavor. Production: Media Hub Pvt. Ltd. Production Advisor: Som Dhital , Procedure: Baldip Rai, Director: Rabi Dangol Production Chief: Manaraj Shrestha, Senior IT Executive: Suvash Pokhrel Editor:Rajendra Manandhar,Sub-Editor: Ashok Chaudhary, Rabin Bhatta , Graphics: Aman Maharzan /Suvash Pokhrel , Production Management: Sagar Giri, Camera: Sohan Manandhar Transportation: Gobardhan Kaspal, Makeup: Ganesh Khadka, Title song Writer: Sailendra Simkhada/, Music/Singer: Tanka Budhathoki, Artists: Rabi Dangol, Purna Thapa, Rajan Thapa, Baldip Rai,Januka Paudel, Pratik Dulal, Manoj Tamang, and many More.